Asiad Steels is one of the renowned manufacturers and suppliers of Inconel 600 Bolts. These Inconel 600 Hex Bolts are a family of nickel-chromium-molybdenum alloys used for their high strength at elevated temperatures and good corrosion resistance. The high nickel content gives Inconel 600 Heavy Hex Bolts resistance to corrosion by many organic and inorganic compounds and also makes it virtually immune to chloride-ion stress-corrosion cracking. 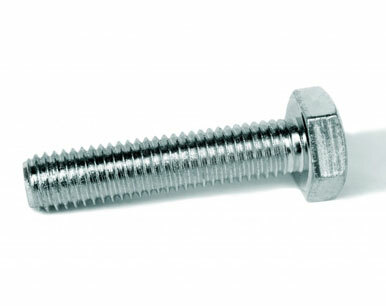 Inconel 600 Hex Cap Screws are manufactured from alloy containing nickel as base element with additions of chromium. These Inconel 600 Hex Screws are designed to have exceptionally high strength and creep-rupture properties at higher temperatures and pressures. Inconel 600 Socket Cap Screws are available in various types and specifications, our clients can avail these fasteners at economical prices. Inconel 600 Machine Screws is a nickel-chromium alloy with good oxidation resistance at high temperatures and resistance to chloride ion stress-corrosion cracking, corrosion by high-purity water, and caustic corrosion. 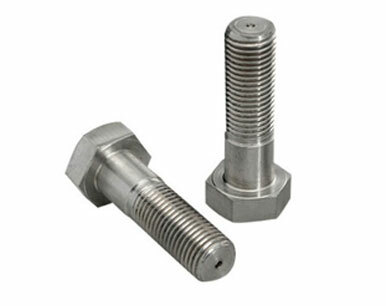 Inconel 600 Allen Cap Screws are used in many types of machines, as these are available in different finishes to meet the varied industrial requirements. Inconel 600 Allen Square Bolts is often used in Nuclear reactor vessels and heat exchanger tubing, Chemical processing equipment, Heat treat furnace components and fixtures, Gas turbine components including jet engines, Electronic parts, etc. 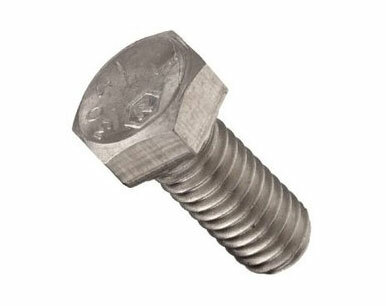 Inconel 600 Allen Round Head Bolts has useful resistance to dry Cl2 and HCl gases at moderately elevated temperatures, and not suggested for use at red heat when sulfur is present due to elevated nickel quantities. 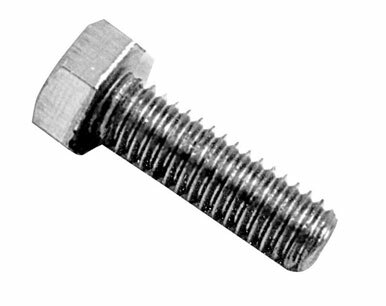 Buy Alloy 600 Bolts at reasonable rates from us. We are Exporter of Inconel 600 Bolts in Worldwide Such as India, Iraq, Nepal, Chile, Israel, Vietnam, Thailand, Bhutan, Ukraine, Japan, Serbia, Macau, Chile, Finland, Mexico, Philippines, Bahrain, Algeria, Kenya, Bolivia, Australia, Libya, Costa Rica, Iran, Ireland, South Africa, Pakistan, Taiwan, Jordan, India, Afghanistan, France, Oman, Denmark, Mongolia, Germany, Russia, Puerto Rico, Angola, Saudi Arabia, Ghana, Czech Republic, Croatia, Zimbabwe, Canada, China, Belgium, Austria, Peru, Turkey, Belarus, Hong Kong, Lebanon, Iran, Slovakia, Nigeria, Nigeria, Gambia, Kuwait, Netherlands, Bangladesh, Tibet, Hungary, New Zealand, Lithuania, Colombia, Argentina, Brazil, Italy, Mexico, Portugal, Estonia, Indonesia, Spain, Venezuela, Norway, South Korea, Trinidad & Tobago,Tunisia, Switzerland, Greece, Kazakhstan, Malaysia, Ecuador, Sweden, Qatar, United States, Egypt, Bulgaria, Azerbaijan, United Kingdom, Yemen, Romania, Poland, Singapore, Poland, Sri Lanka, Morocco, United Arab Emirates, Gabon, Namibia. We are Suppliers of Inconel Alloy 600 Bolt in India Such as Mumbai, Navi Mumbai, Ranchi, Madrid, Sharjah, Singapore, Edmonton, Pune, Courbevoie, Petaling Jaya, Jaipur, Geoje-si, Gurgaon, Haryana, Surat, Howrah, Muscat, Karachi, Dammam, Thane, Dubai, Ahvaz, Chandigarh, Mumbai, New York, Riyadh, Hong Kong, Baroda, Mexico City, Indore, Al Khobar, Caracas, Noida, Doha, La Victoria, Thiruvananthapuram, Houston, Kuwait City, Ernakulam, Faridabad, Toronto, Istanbul, Lahore, Bhopal, Jeddah, Vadodara, Brisbane, Gimhae-si, London, Colombo, Lagos, Vung Tau, Calgary, Ho Chi Minh City, Busan, New Delhi, Tehran, Montreal, Port-of-Spain, Ahmedabad, Pimpri-Chinchwad, Nagpur, Cairo, Al Jubail, Abu Dhabi, Bangkok, Manama, Los Angeles, Melbourne, Bengaluru, Moscow, Chiyoda, Santiago, Rajkot, Aberdeen, Sydney, Secunderabad, Chennai, Nashik, Kanpur, Hyderabad, Dallas, Granada, Ankara, Hanoi, Kolkata, Bogota, Ludhiana, Rio de Janeiro, Milan, Visakhapatnam, Seoul, Coimbatore, Jakarta, Ulsan, Algiers, Kuala Lumpur, Atyrau, Jamshedpur, Perth.